Our store is an excellent market for smart shoppers!!! Whether you are ready to redecorate your entire house, looking for that unique piece of furniture almost impossible to find, furnishing your condo or cabin, apartment for your student kid, staging your house for sale, or simply tired of your old furniture - why spend extra?! And that is particularly true during tough economic times. Having a huge selection of furniture, art, and home decor and wide variety of styles from antiques to contemporary makes it easy for our customers to find what they are looking for. On the other hand, if you wish to consign or sell outright your furniture or home decor Alter Home provides you with the easiest and simplest way to do it. No unknown callers from classified ads, no need to risk strangers in your home. And if you sell outright, we do all the heavy lifting and moving. We take care of everything, from pick-up to pricing to advertising to selling. You just relax and we'll send you a check! With hundreds of customers coming through our store every week, you'll get maximum resale value for your gently-used furniture. The majority of consignments sells in less than 30 days. Your furniture is kept safe in our showroom by video surveillance as well as a monitored security system. Enjoy 24 hour online access to your consignment account. Our convenient location, the largest showroom in Northeast Florida, and professional and experienced staff give you a winning combination. We have years of experience in pricing furniture and many items sell within few days. So, whether you are buying or selling, we can always meet your needs! Alter Home is the place to buy and sell! 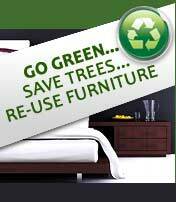 Copyright ©2014 Alter Home Furniture, Inc. All rights reserved. Information from this website cannot be copied or reproduced.